The golf scene in Montana has improved recently with some newer courses coming to Missoula as well as the Billings area. Pictured at left is the Old Works Course in Anaconda, a truly magnificent achievement built in the old copper mining area and some of the features of the mining are still among the links that await you and featuring black sand bunkers. Anaconda is located about 100 miles east of Missoula, near Deer Lodge. In East Missoula, you’ll find Canyon Ridge, one of the later arrivals in the area. 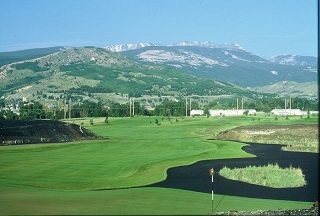 In Billings, we recommend both The Briarwood, and in Hamilton, Hamilton Golf Club is a great choice.